Desert Candy حلويات الصحراء: What is Za'atar? If you’ve eaten at any Middle Eastern restaurant or spent any time in the region you are sure to have encountered za'atar (زعتر ). I’ve probably eaten boatloads of za'atar over the years, in salads, spread on flatbreads, and sprinkled over roast chicken. To clarify, za'atar is both an herb and a dried herb mixture, the latter including sesame seeds and other spices. Of course I knew what za'atar was, I blithely assumed, until one day I saw large bunches of an unfamiliar green herb in the market in Damascus. “Za'atar taza,” said the vendor when I asked, “fresh za'atar.” I nodded confidently, as if I knew exactly what it was, but I was quickly realizing I had no idea how to define the formerly-familiar za'atar. 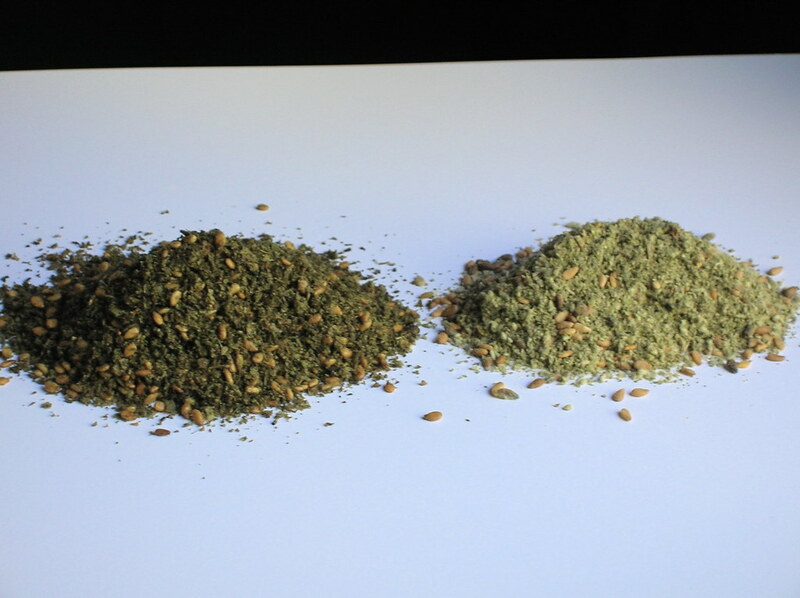 In order to best understand the ubiquitous herb mixture, first I had to know about za'atar as a specific herb. In Arabic, za'atar can be used to refer to many herbs in the thyme-marjorum-oregano-savory family. But the plants I saw in markets and shops had long thin leaves, nothing like the tiny leaf of thyme nor the round leaf of oregano. There is a lot of misinformation out there about za'atar, and I’ll spare you the details, other than to say it took a lot of wading through books and encyclopedias, talking to farmers, and the great help of my friend Samir, who has a masters in agriculture from University of Damascus, to get it all sorted out. A Damascene blend on the left and a Beiruti blend handmade by a friend's Lebanese grandmother on the right. Now that we have the herb za'atar defined, let’s move on to the za'atar mixture. The basic za'atar mixture consists of dried za'atar herb and sesame seeds with a bit of salt, but each version is a little different, some people add bits of oregano, savory, hyssop or sumac (a dried tart berry). In Beirut, the most prized za'atar mixture includes the delicate white thyme flowers, the result is a light colored za'atar that is rarely found in shops but made by hand at home (see above). In Damascus, the favored za'atar is verdant green in color with flecks of sesame, while in Aleppo they prefer to grind the sesame seeds which gives the mixture a more brown appearance, and in Jordan they use a large quantity of sumac for a red za'atar. In the market, you are sure to find at least five different varieties of zaatar to choose from, and people also make their own mix at home. My advice is usually to taste and try, you should be able to eat the za'atar dry with a spoon and it should not be powdery or have bits of stem in it. Za'atar (the mixture) is considered a staple food in Syria, Lebanon, and Jordan, so essential that no table or kitchen is complete without it. Usually za'atar is mixed with olive oil (za'atar ul-zayt), and this mixture is spread on flat breads, rolled up in pita bread, served as a dip, or drizzled over sliced tomatoes. Za'atar makes the filling for croissants, the seasoning on breadsticks, a compliment to yogurt, and the seasoning for stews. Children are often given za'atar sandwiches before a test because it is thought to awaken the mind. 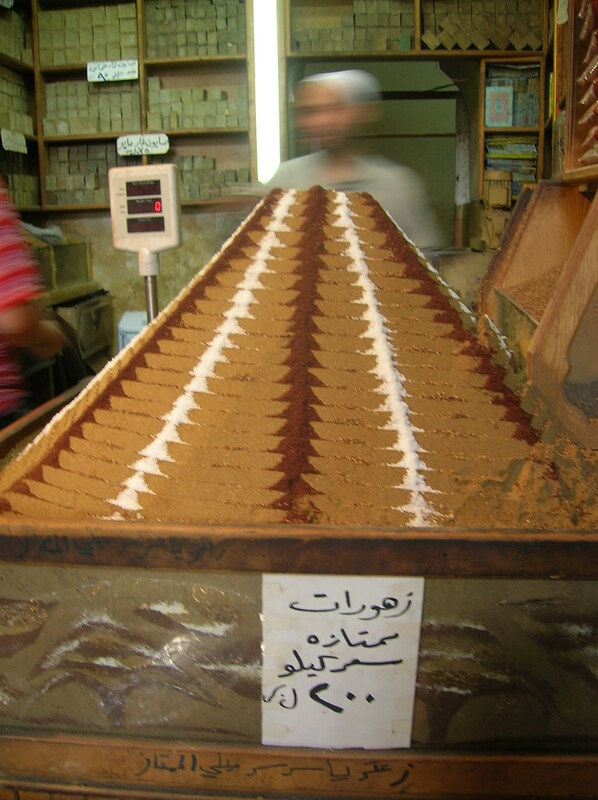 Za'atar in the market in Aleppo, decorated with sumac and salt. The sign below actually advertises a flower tea also available at the shop. My favorite way to eat za'atar is probably the simplest: get two small bowls, put a shallow level of olive oil in one, and put a generous amount of za'atar in the other. Now get some bread, preferably a flat bread like pita, but you can use any bread you like. Roll up your bread, or tear off a hunk, and dip the bread first in the olive oil, then in the za'atar. Eat. In fact, I dare you to stop eating, because it is so addictive. Before you know it, you’ll have made a whole meal around a dried herb mix. And that is the power of za'atar. I always buy my za'atar from a Middle Eastern store, or order it. However, if you are stranded on a remote island and in need of some za'atar, the following mixture will suffice. Combine 1/2 cup best-quality dried thyme, 1 teaspoon summer savory or oregano, 2 tablespoons sumac, 1/2 teaspoon salt, and 2 tablespoons sesame seeds. Give the mixture a quick blitz in a food processor or spice grinder (you don't actually want to grind all the seeds, just give everything a good mix). What a marvellous, informative essay! I've heard some very confusing information about za'tar, and you've made it all perfectly clear. This is an *excellent* post. I really enjoyed reading it. Now I've got a craving for some zayt w'za'atar like you described......i know what's for dinner tonight! Thanks! Also, for a bread to serve with dinner, I'll mix up some zaatar with softened butter and spread it on store-bought crescent roll dough before rolling them up. The buttery dough goes very well with the tangy za'atar. wow, I can't believe I took growing up around za'atar for granted. After reading your post I got a craving for one of my mom's za'atar manaish. Thank you for the very interesting lesson! I'm always interested to learn about new foods! I've had something similar, but i'm not sure if it was actually za'atar. Wow, I'm off to get some pita bread to eat with my Za'atar! What a fantastically useful post - I'd heard of the herb - but didn't know that was the name of the mix that I'd had in restaurants! Antonio- you're right, some Syrians do add cumin to their za'atar, however, certainly not all Syrians. There are a lot of regional variations of zaatar, particularly the farther away you get from the mountains that are the source of the fresh herb. I've even heard of Persian za'atar which includes pistachios. That was a great post. I studied at the American University of Beirut, and one of my favorite things was getting a croissant with za'atar and a cappuccino, and then looking out at the Mediterranean Sea while enjoying by breakfast! Thanks for bringing back the memories! We have also used it in one of our recipes at Kitchen Caravan, as a coating for chicken kebabs. Thank you so much for the information--I am trying to match a aleppo zaatar that I have enjoyed--and the secret is the ground sesame--for the color and flavor--It is a fabulous seasoning, I discovered 1 1/2 years ago, I will never stop eating it. I am desperately i ned of some zaatar for a regime to my 7 years old daughter who has attained a severe anemia with regular blood transfusion. We just had some mana e sh this morning. I discovered how to make them like the mana e sh that are made in the ovens in Lebanon. I bought some packaged green zataar made by Ziyad brand. Although the green is really good and tastes like it's good quality, but I love the batches that my mom sent from Lebanon to me and my sisters. It was brown in color. And yes, I was told that it grew in fields in the mountains there. Nevertheless, in my making mana e sh this morning, I conmbined the green zataar with olive oil and spread it flat bread (greek bread?). Then baked in regular oven or you can use toaster oven, depepnding on how many you would be making. Drink with regular hot tea - em! It's sure to bring your world to a beautiful start, if you're use to this kind of thing that is. Yum, yum! Thank you for so much useful information. I had never heard of this, so will now go off and investigate. I read your story about encountering fresh za'tar in Damascus and had to laugh, because the big bunches on the markets or "za'atar-salad" was one of the most impressive things I met in Damascus... And I had to tell everyone when I came back to Europe/Vienna! Thanks for your fantastic essays! Hello! Great post on zaatar. I wanted to point out that zaatar is now cultivated, at least in Lebanon, because it has become depleted from too much wild harvesting! Thank you for your essay, I lived in Beirut as a teenager before the war and often cook Middle eastern at home. I was looking for recipe using pickled thyme , do you have any clues? i've lived in lebanon for years, have actually seen zaatar being made, and have never, ever known zaatar to be made with thymbra spicata. dunno about damascus, but here people make it with origanum syriacum. have you actually watched people making it, or are you just going by what people tell you? I had never heard of this until I discovered it at a local spice shop. Great stuff! Here is the shop I got my Za'atar from. They spell it "Zahtar." Anyone know of a site or sites with recipes forthe different variations of the mixture zaatar?? Id love to try the different variates but preffer a recipe instead of trying to guess how much of a spice (Like say the cumin in one varation and the red sumac in another)there is..
Also being that it is now being cultivated anyone know of a seed source for the actual zaatar plant mentioned in this article?? Ive found some recipes that use the leaves of the plant...One sounded very good..Was a sandwich using the leaves.. It may be interesting to note that in palestine, thyme is actually za'atar. 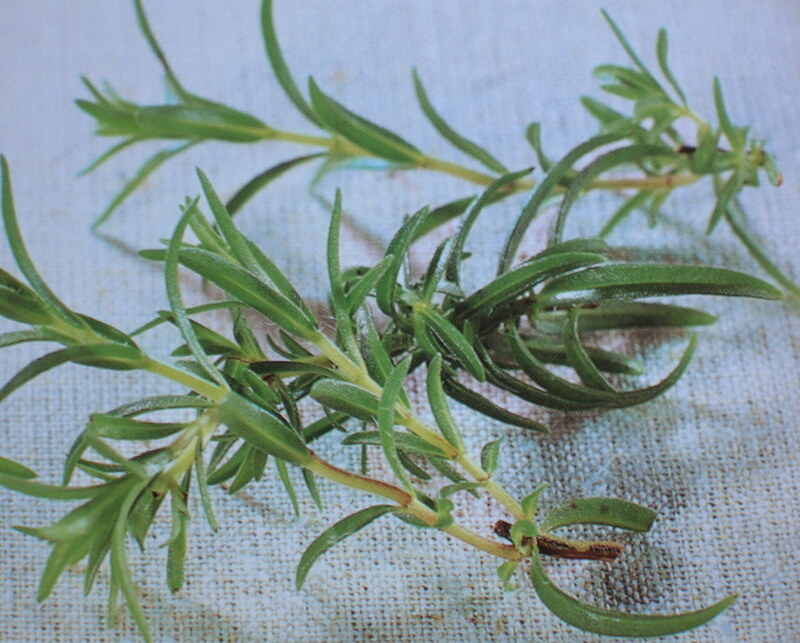 Though the herb mixture may have many different type of things in it. As a matter of fact in many of the bigger markets you would go to a salesman and request your own mixture that he would grind down for you. I am lebanese, AND I speak lebanese. As well, I speak and write Arabic. I do speak and write French and English too, for the curious . Za'atar !!! yesterday - today and -tomorrow, is Thyme , full stop. Lebanese cuisine is not better than syrian, jordanian or egyptian cuisine,....it is DIFFERENT. if you use the dried regular thyme, the man'oushé would be fade. if you use the wild thyme by itself, it would be coarse. za'atar since decades in lebanon, is believed to be a memory booster . wild thyme is coarse and very very strong. To render the taste mouth watering, they mix wild thyme with sessame and olive oil. Please be aware that there is no such thing as mixture of herbs called za'atar. 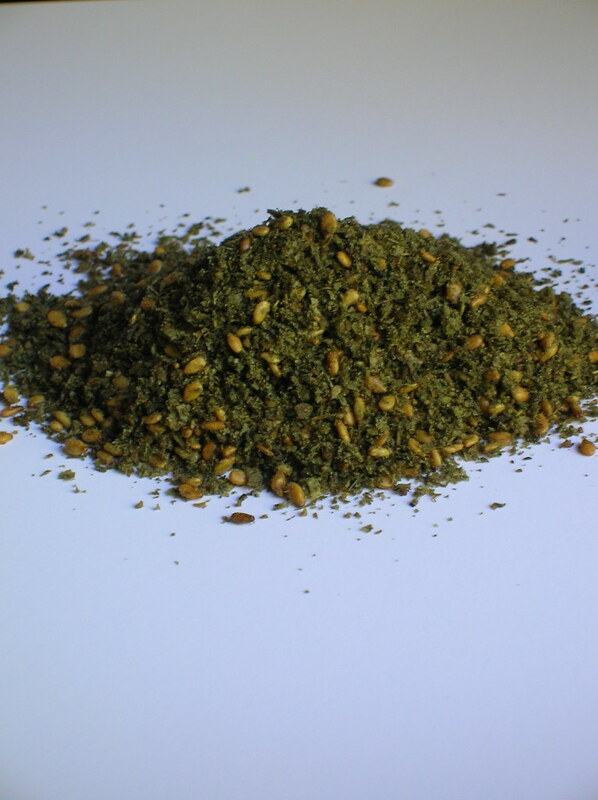 There is a mix of za'atar for man'ouche, called za'tar still, but it is za'atar mixed with soumack and other herbs. It is as if you ask an italian mom, to cook a tomato sauce for pizza. tomato sauce for pizza is totally different from tomato sauce for pasta. All this is to explain, why za'atar mixed with sesame and other herbs, is still called za'atar, but is short for za'atar mix for man'ouché. After traveling all over the Middle East I was still very confused about whether za'atar is a single plant or a mixture of herbs. Thanks putting in all of the work to clarify this! I notice you say that the plant which grows between Syria and Lebanon "cannot be cultivated", why is this, and what do you mean? Does it not survive if you try to plant it? Thanks again!